From Wheels to Base Carrier Bars; customize your Volkswagen to suit your lifestyle with Volkswagen Original Accessories. Designed specifically for your vehicle, while also maintaining the standards you've come to expect from Volkswagen. Explore the complete line of Volkswagen Accessories at Northland Volkswagen. 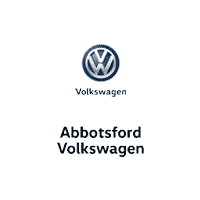 Volkswagen original parts, purchased from Northland Volkswagen, in AB, are protected by the new vehicle 4-year / 80,000 km limited warranty, if installed prior to delivery. If purchased by an authorized dealer, during the new vehicle limited warranty period, accessories qualify for the balance of the new vehicle warranty coverage or a 1-year / 20,000km limited warranty, whichever is greater*. When it comes to personalizing, protecting, and preserving your Volkswagen, nothing beats Volkswagen Original Accessories. Show off your love for your Volkswagen. We've got authentic swag for ever VW enthusiast. Shop the full Volkswagen Collection of clothing, sports gear, lifestyle accessories and more. Explore it now.